Greedy Lawyers Want Your Home, Your Pension, Your Business. It’s Time to Stop Them. How long did it take to build your wealth? How hard have you worked to get to where you are? To purchase your home, save for retirement or build a business you’re proud of? It takes just seconds to bring it all tumbling down. We live in a country where greedy lawyers prey on families and businesses up to 41,000 times a day. That’s about fifteen lawsuits since you started reading this page. It’ll be more than 200 in the next 10 minutes. 200 lives changed forever. 200 families wondering how they’re going to afford a day in court. 200 parents worried about their home, their pension, their children’s college fund. Many of these suits are frivolous, with no basis in reality. Many of them designed by manipulative lawyers to force us into a huge settlement. It could be hundreds of thousands of dollars. It could be millions. I’ve seen it happen too many times. To good, honest, hardworking people. I’ve seen fortunes lost in an instant. It’s why I do what I do. 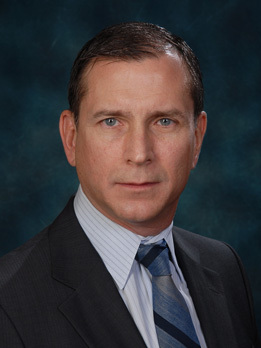 For 30 years I have helped more than 15,000 individuals and families protect their wealth from bloodthirsty lawyers. And I do it because I believe your money is worth protecting. To a greedy lawyer, your wealth is a target. To me, it’s your life. Your safety net. It’s family holidays and a comfortable retirement. I know you feel the same way. I feel the same way about my savings too. It’s too important to leave to chance. During my 30 years in the business, I’ve learned every legal trick in the book to avoid and protect against frivolous lawsuits. I’ve traditionally shared this information just with my high-paying clients. But America’s lawsuit epidemic is getting worse, and it’s time everyone learned how to protect themselves. These Techniques Drive Most Lawyers Crazy! How to disappear – How to avoid lawsuits in the first place. How to legally hide your wealth from prying eyes – Greedy lawyers look for the “deep pockets” to sue. You’ll learn how to throw them off the scent by legally concealing your wealth. How to build protective barriers around your assets – There are tools that make it almost impossible for creditors to grab your wealth. Most people don’t know how to use them, but I’ll show you. How to use international strategies for complete protection – Holding your wealth outside the US is the ultimate privacy and protection plan. There are only a handful of people who know how this works, and you’ll soon be one of them. If you’ve got money in the bank, your chances of a lawsuit are even higher. If you’ve got equity in your home and $50,000 in the bank, you’re already a target. You are the “deep-pockets.” The low-hanging fruit. Easy pickings. All it takes is a nosy neighbor with a chip on his shoulder. A disgruntled business client or an ambulance chaser you’ve never even met to tip off a lawyer. The lawyer sees dollar signs in his eyes, because he works on contingency. He gets a percentage of your assets if he beats you in court. He may be running a search on your assets right now, hunting out your wealth like a bloodhound. Yes, that’s a real and legal thing that happens. You can thank the system’s reckless disregard for privacy for that. And if you think these cases get thrown out of court, think again. More than half of all civil lawsuits are awarded in favor of the plaintiff – the guy suing you. All because our legal system is busted. The lawyer doesn’t even have to prove you were at fault. They just have to prove it was probable. Of course, most lawyers aren’t even interested in taking you to court. They’re just looking to back you into a corner and force you into a large settlement. Often hundreds of thousands of dollars. They’re just another crook with a crowbar, prying into your wealth. This is not “justice”; it’s a scam. It’s blackmail. And it’s time to fight back. Maybe you live in one of those free-for-all states where nothing is protected. Many of my clients simply didn’t know how exposed they were. They didn’t know their home was vulnerable. Just ask Denise Norton from Seattle. She was sued by her neighbor for $500,000 over a case involving her Labrador, Cawper. Cawper didn’t bite anyone. He didn’t attack. He just barked. Denise Norton assumed it was a joke, so she ignored the case. Next thing she knows, the Sheriff is at her front door, saying the court is putting her house up for sale to pay the damages. Denise Norton was about to lose her home, all because her dog barked too loudly. Something this trivial could happen to any of us. That’s why I created this report. This brand-new report collects everything I’ve learned over 30 years in the asset protection business. From how to avoid a lawsuit in the first place to the complex tools that will double lock your assets. It’s a lifetime of knowledge. There are strategies here that only a handful of people in America know how to unlock. It’s information usually reserved for my high-paying clients. By the end of this report, you’ll know what they know – how to drive the bad lawyers crazy. Do you own a home? Do you have any money in the bank? Or any sort of pension or nest egg? If yes, then yes. As Denise Norton discovered, something as petty as your dog barking can put your home at risk. I’d venture so far as to say that something this simple could happen to any one of us. The postman could slip and break his wrist on your porch. Lawsuit. A tree in your garden could grow too large and block your neighbor’s sunlight. Lawsuit. Your children’s baseball could fly through the neighbor’s window. Lawsuit. Are you a doctor, nurse, teacher, financial advisor, journalist, pharmacist, driver, admin assistant? You’re vulnerable. One piece of bad advice, one mistake at work, and you’re liable. Heck, I don’t think there’s a profession on this planet that a greedy lawyer couldn’t twist and manipulate into a liability. Then you’re even more vulnerable. Half of all civil lawsuits are filed against small businesses. Consider the disgruntled client, the P-O’d former employee, the customer who injures themself while using your product (even if it’s their own fault). I don’t think any one of us can claim to be 100% “lawsuit proof.” We all have something that leaves us vulnerable. That’s why I believe that almost everyone will find something useful in this report. It will help you identify the weaknesses in your current planning – whether it’s your home, your pension or your business – and then fix them. I created this report with a very specific structure. The same one I use when personally consulting with clients. You see, I’m not like most asset protection specialists. I don’t create complex, expensive structures to maximize my fees. I start with the simple stuff – the things that work for you, and we work upwards from there, filling the gaps and plugging the weaknesses. That’s why this report starts with the basics (insurance and domestic protections) and ramps up to the most rock-solid arrangements out there (the international strategies). How did we get here? – What makes America the lawsuit capital of the world? How to keep a low profile – I’ll show you 9 actionable ways to lower your chances of being sued in the first place. How to assess your vulnerability – What makes you a target, and where are the weaknesses in your arrangement? How to affordably max out your insurance – Insurance is your first line of defense. Let’s make sure there aren’t any gaps in your coverage. Is your home protected? – Some states protect homeowners from losing their home. Others do not. I’ll show you whether or not you’re protected. Is your pension protected? – Some states protect your IRA, while others offer no safety net at all. Is yours covered? How to plug the gaps in government protections – If you do live in a state with no protection, I’ll show you a handful of tricks to plug the gaps. How to “hide” wealth from nosy lawyers – A limited liability company (LLC) or a trust allows you to hold assets without disclosing your name. That means a lawyer won’t find them. Why an LLC is the best structure for your business – And why corporations, partnerships and sole-traderships are flawed. Why it’s so difficult to extract assets from a trust – A trust is one of the best asset protection tools in our arsenal. I’ll show you how to set one up. Why international assets are better protected than US assets – Held overseas, wealth is more difficult for lawyers to find and collect. I’ll show you why and how to get started. Which countries are the best for asset protection – There are countries on earth that fight to protect your privacy and that loathe frivolous lawsuits. I’ll show you where to find them. It’s a powerful system specifically designed for Americans looking to protect their wealth. It’s an arrangement that could save you hundreds of thousands of dollars in legal fees. Depending on your net worth, it could save you millions in damages or settlement agreements. How much is knowledge like that worth to you? I’d like you to have it for $97. Why Would I Give So Much Away For So Little? Well, because I want this information to get out to as many people as possible. And I know that the main thing that holds someone back is price. At $97, there’s very little risk. $97 will buy you just a few minutes with a half decent asset protection lawyer. Instead, you’re getting 30 years of tried and true information. I know this works. Thousands of times. I’m grateful to have been able to help save my clients from devastating legal fees and the threat of multi-million-dollar settlements. That’s why I can be so confident about the benefits within these pages. In fact, I guarantee it. The strategies, techniques and arrangements in this report are the “best practices” of asset protection. And I know there is an actionable strategy for almost everyone within these pages. But if you don’t agree, I will happily give you back your money. That’s how confident I am about this report. How long did it take to build your wealth? How hard did you work to get to where you are today? And then ask yourself this: Could you afford to pay a big settlement? Could you watch a soulless creditor put your house up for sale? Or have them raid your pension or take over your business? 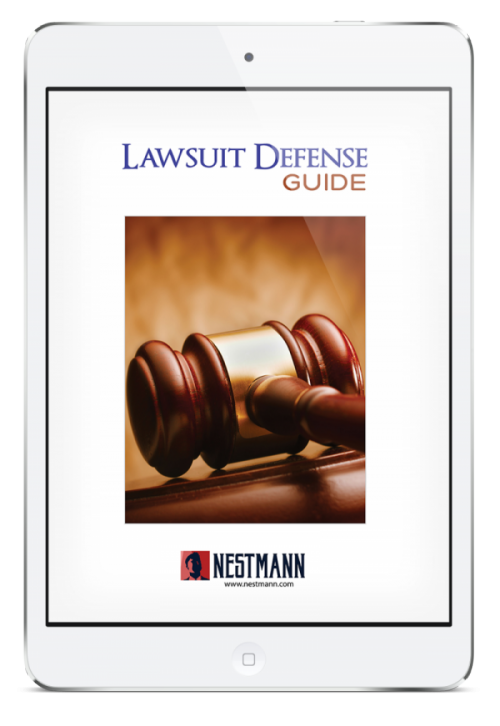 The Lawsuit Defense Guide offers an ironclad defense against frivolous lawsuits. But – and it’s a big “but” – if a lawsuit strikes and you haven’t taken action, this report won’t help at all. The techniques here work only if you act before someone comes after you. This report is a protective measure, not a reactive one. If you are served with a lawsuit, it’s too late. Trust me; you’ll sleep easier knowing your wealth is safe. P.S. There’s no risk. 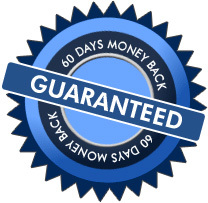 Try it out for 60 days, and if you don’t like everything in this package, just let me know and get a full refund.